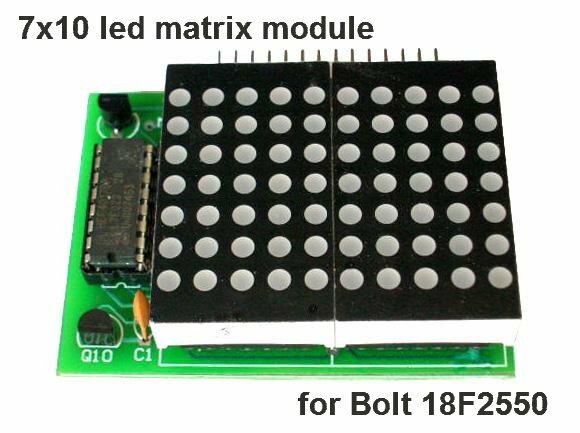 Features: 7x10 led matrix module implemented with two 7x5 modules. 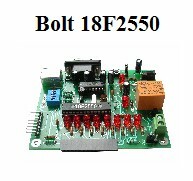 Direct connection without wires to 14 pin LCD connector, compatible with Bolt 18F2550 and Bolt v.Lite. 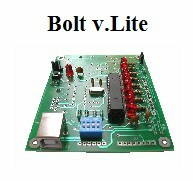 The module is connected to the standard LCD interface, so your system may work either with LCD, a seven segment display or a 7x10 led matrix module. 4 test and application programs are included: shows two numbers, a decimal counter 00 to 99, to display a message with scrolling in columns and to display a random number. 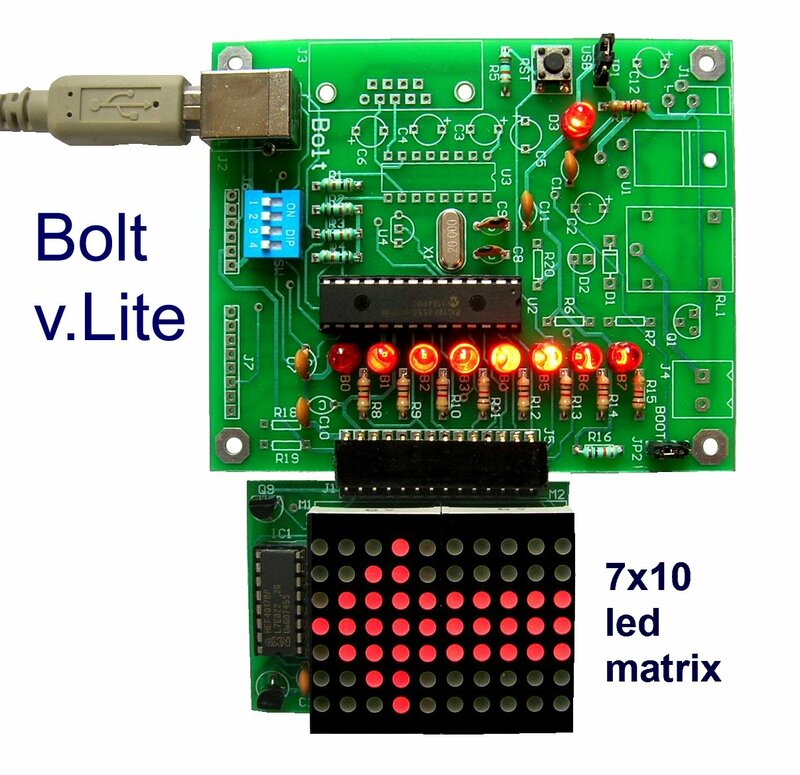 The module uses the time multiplexing technique to turn on the led patterns and form numbers, letters and graphics. C18-MATRIX-7X10-RANDOM-NUMBER-GENERATOR.c Random number generator. After reset, shows a random number in 2 digits. 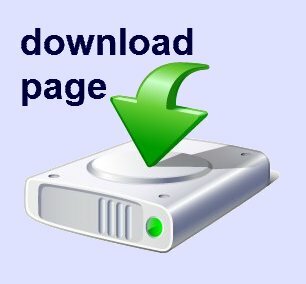 User may modify program to change speed.